Learn Selena Gomez Only You Sheet Music, Piano Notes, Chords in minutes. 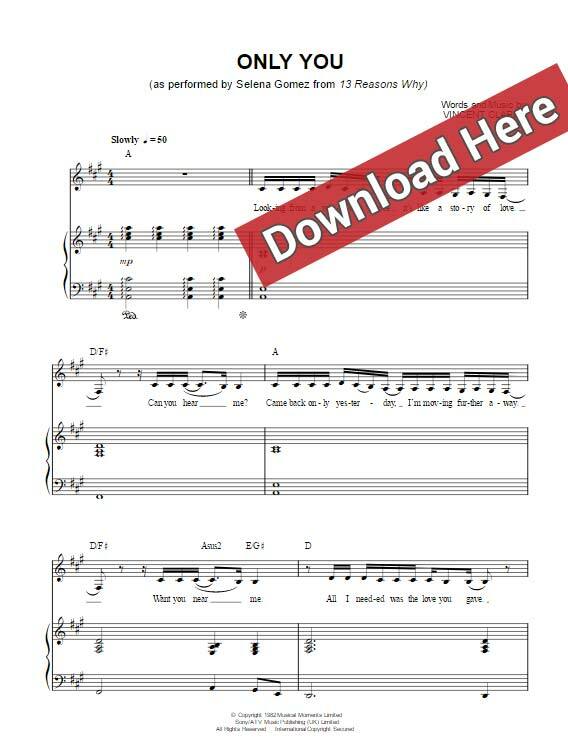 Download pdf or print the score, watch free video tutorial for a quick start. This is a 5-page score that was composed by Vincent Clarke and is featured in 13 Reasons Why. Arranged for keyboard, voice and backup vocals.